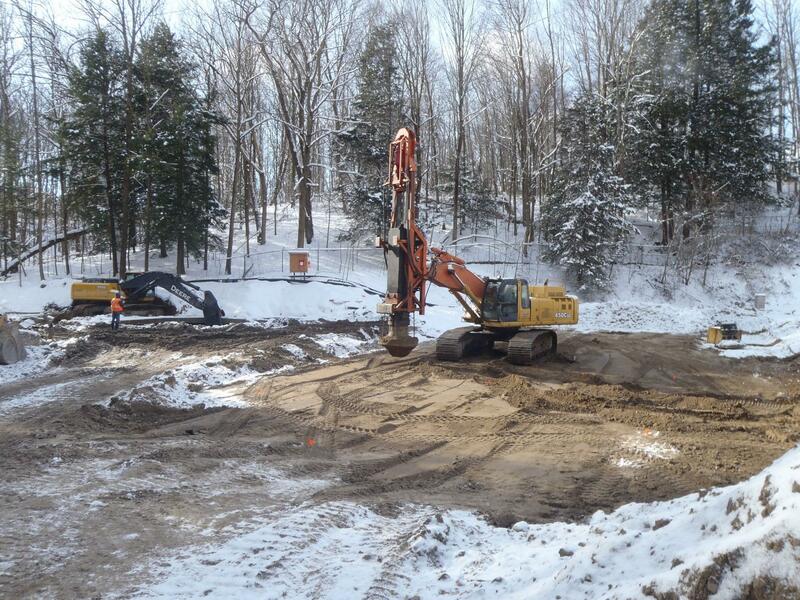 This project involved the construction of a fish culture sub-station for the Ministry of Natural Resources, located in Normandale, 0.5 km East of Front St. at Turkey Point Rd. 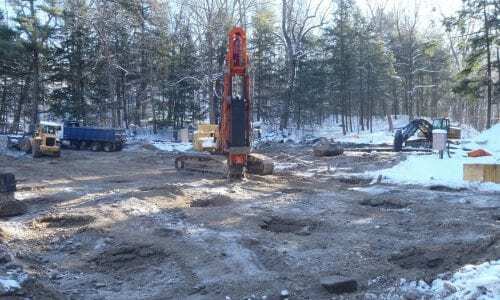 A geotechnical report revealed that prior to construction, soil improvement was necessary to support the slab on grade and minimize potential total and differential settlements. 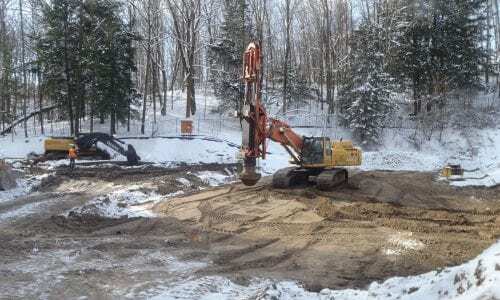 As an alternative to excavation, replacement and compaction, Menard Canada proposed a ground improvement approach of rapid impact compaction (RIC) using the Menard CanadaTOR to compact the upper 3 meters of soil. The objectives of the treatment are to: densify the soil to minimize total and differential settlements, satisfy both building code and seismic requirements and to improve the bearing capacity of the founding soils. 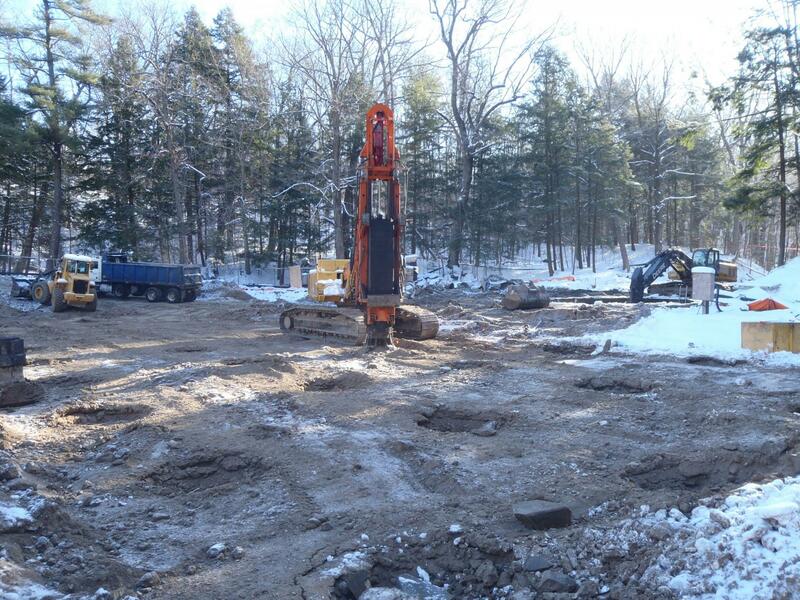 The total area improved using Menard Canada’s Menard CanadaTOR, RIC solution was 1672 m2. 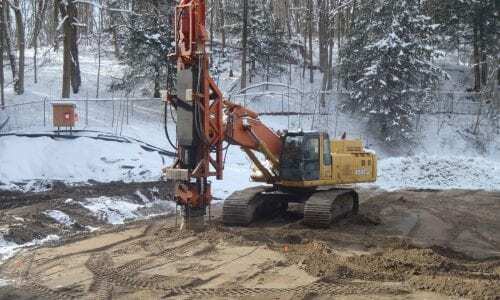 Based on Menard Canada’s design, a 9 ton steel weight was dropped from a height of 0.9 m, up to 40 times per minute, under the raft slab area and footing locations. The RIC program was completed ahead of schedule, with all tests achieving better than intended results. 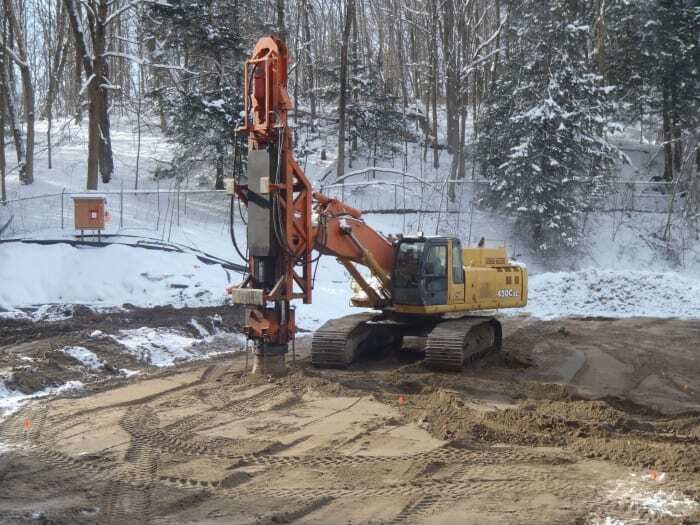 Menard Canada delivered a value engineering solution of soil improvement providing a cost-effective reliable method appropriate for the project and for the site.